The high-level meeting in London follows public accusations by the Egyptian government that Qatar supports IS. Tarek Adel, Egypt’s delegate to the Arab League, told Egypt’s state news agency that the majority of League representatives support Egyptian airstrikes against IS militants in Libya as part of its right to self-defense. Only Qatar “deviated” from the consensus, he added, accusing the country of continually taking positions against Egypt. Egypt’s airstrikes followed the publication of a video online showing the beheadings of 21 Egyptian Coptic Christians by militants supportive of IS in Libya. Qatar recalled its ambassador to Egypt in protest against Adel’s comments. Saad bin Ali al-Mohannadi, the Qatari Foreign Ministry’s Director of Arab Affairs, said the nation had reservations about Egypt’s decision to take unilateral military action. 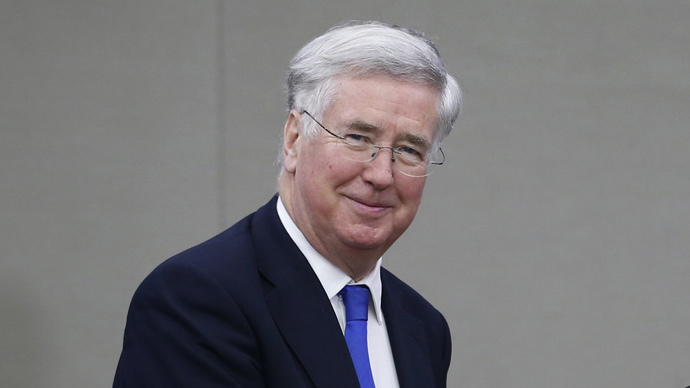 Monday’s meeting is the second time Fallon has met with Attiyah – the first being in November last year, when the UK defence secretary welcomed signs that Qatar was preventing terrorist funding within its borders. The meeting between the two ministers follows a visit by the Prince of Wales to several Gulf states, including Qatar, earlier this month. It also coincides with the publication of an article by Dominic Jeremy, chief executive of UK Trade & Investment (UKTI), in which he describes the Gulf states as a “crucial investment partner” for Britain.